Featuring our favorite brands from the Middle East. Taita Leila is a social enterprise that produces high quality, modern clothing inspired by the long and rich tradition of Palestinian embroidery. Their clothes are made in Palestine, hand-embroidered by women in the West Bank, and can be purchased from this website to be delivered anywhere in the world. KC listeners get an additional 10% off. Just enter KC10 at checkout. 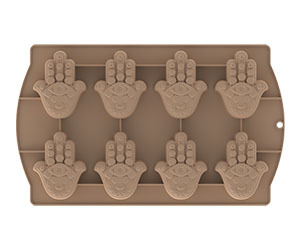 Melting Pots is turning kitchen utensils into a multicultural exchange. Whether for a favorite recipe or an all-out extravagant event, they help give your cooking new inspiration, a different and deliciously creative mindset, to create a fusion of delights. KC listeners get an additional 10% off, just click the links below. THIS Toothbrush revives an ancient natural toothbrush called the miswak, which has been used for centuries in Islamic communities and has been shown to be beneficial for dental hygiene. THIS Toothbrush takes the traditional miswak and modernizes it with unique accessories like the signature Cutter Case, a beautifully packaged storage case that makes it easy to carry, cut, and peel the miswak on the go. KC listeners get an additional 10% off, just enter KC10 at checkout. 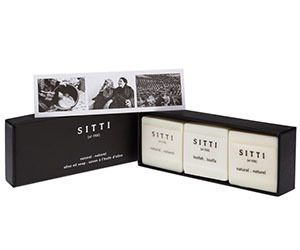 Sitti is a social enterprise that provides fair-wage employment opportunities to skilled women refugees at the Jerash Refugee camp in Jordan through the making of handmade, natural, cold-pressed Olive Oil Soap.